- Governments should experiment with the legalization of marijuana which can serve as a model to eventually legalize other drugs. - Offer health and treatment services as well as harm reduction programs such as clean needles. 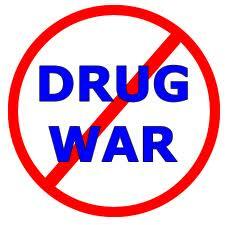 - Respect the human rights of drug users. Abolish abusive methods of treating drugs users such as forced detention, forced labor and physical and psychological abuse. - Deploy educational efforts grounded in credible information and prevention programs for the youth. - Focus repressive actions on violent criminal organizations, but do so in ways that undermine their power and reach while prioritizing the reduction of violence and intimidation. - Replace drug policies and strategies driven by ideology and political convenience with fiscally responsible policies and strategies grounded in science, health, security and human rights. Kudos to the commissioners for their clarity in this issue! Fears and taboos may cause some of us to disagree with the carrot approach these commissioners are recommending. But when we think about it rationally and logically, is illegality really what deters most people from using drugs? Admittedly, not too many people give illegality as the reason for not being attracted to recreational drugs. To people who are attracted to them, their illegality is the last thing they worry about when they want to use them or abuse them and when they can get them as easily as making one phone call. Eliminating many criminal cartels by making recreational drugs legal while implementing harm reduction programs, will most certainly benefit everyone including those who will have continued using them even if they had remained illegal. Moreover, making them legal will perhaps have the added benefit of deterring defiant of authority young and less young people from using them because they will no longer have the ‘’forbidden fruit’’ appeal.